When you look at a PC, even a brand new one which claims to have all the latest features and functions, you don’t really think much of the decades-long legacy of hardware and software that has led to its creation. Yet, as shiny and modern as the components inside it might be, there are still remnants of the past. For nearly every step we take forward, there seem to be a dozen or so concessions to backwards compatibility that still hold us back. Mechanical storage is known to be the biggest bottleneck to current-day PC performance. SSDs solve that to a huge extent – just booting from an SSD instead of a hard drive can bring about a phenomenal improvement in overall speed. But they still aren’t allowed to be as fast as they can be. SSDs are generally designed in the shape of hard drives and use the same SATA interface, even though the two are vastly different. Convenience won out over performance in the beginning, and we’ve been carrying that baggage ever since. SATA tops out at 6Gbps (theoretically 750MBps but closer to 550MBps in reality) and it isn’t going to die anytime soon. 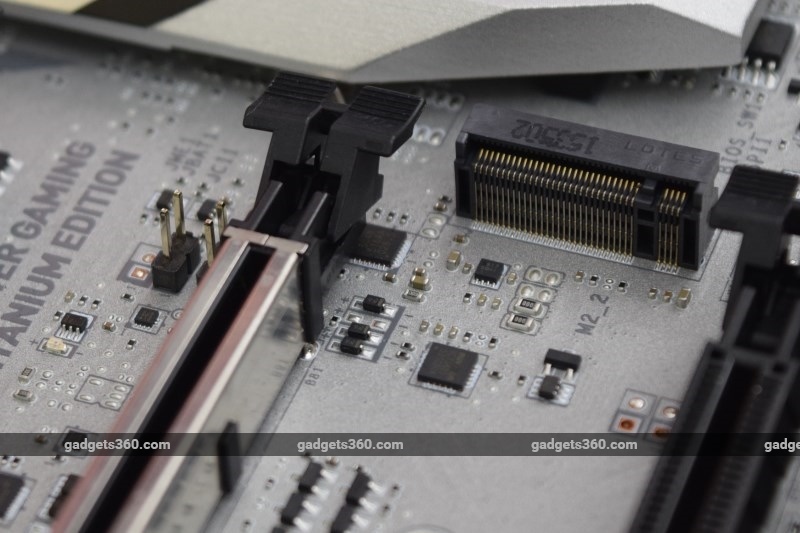 Not content to hang around waiting, the industry figured out it could just bypass SATA (and more importantly, the legacy Advanced Host Controller Interface protocol) and plug SSDs into the much faster PCI Express bus. The NVMe (Non-Volatile Memory Express) standard was born specifically for PCIe solid-state storage, and quickly found a home in high-performance machines. NVMe allows for 2-4GBps of bandwidth depending on the number of PCIe lanes used. The average spinning hard drive, for the sake of comparison, would achieve around 90MBps. 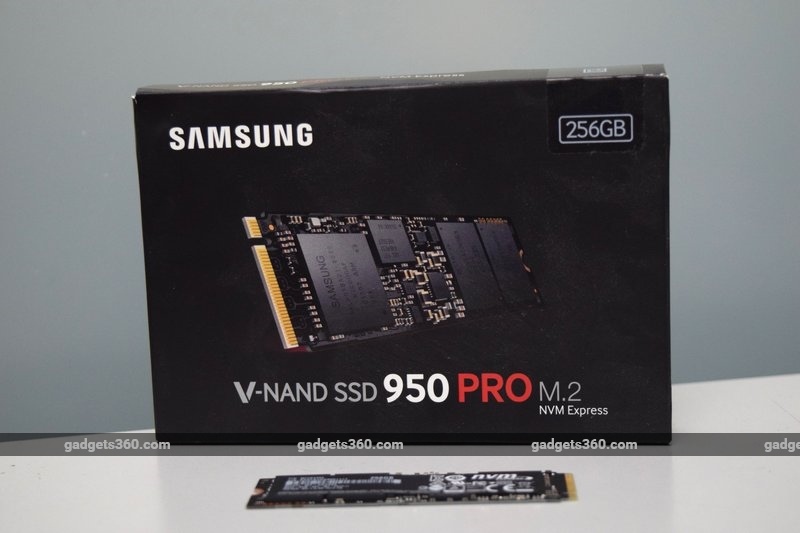 So, for example, while Samsung’s highly regarded SATA-based SSD 850 Pro claims maximum sequential read and write speeds of 550MBps and 520MBps, the new SSD 950 Pro leverages NVMe to deliver up to 2,500MBps and 1,500Mbps respectively. Random read performance for the 850 Pro is rated at up to 100,000 input/output operations per second (IOPS) whereas the 950 Pro is rated at 300,000 IOPS. There’s one small downside to NVMe – older operating systems can’t boot from drives that use this protocol. You’ll be fine with Windows 8.1, but might need custom drivers for anything before that. The earliest way for SSDs to leverage PCIe was to plug directly into existing slots. The M.2 slot format was created so that SSDs could have their own space. The standard supersedes mini-SATA (mSATA) and the two are not compatible even though they look very similar. 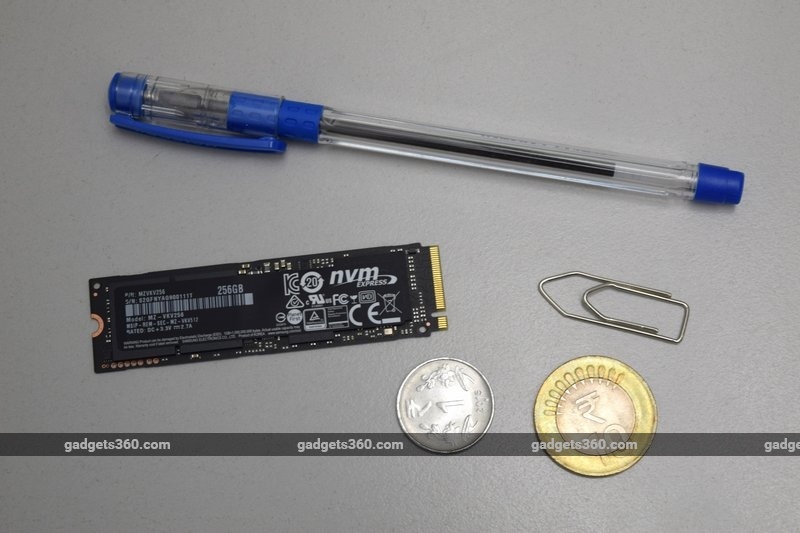 M.2 modules are thinner than sticks of RAM, and are typically finger-length but can be smaller. They can also be double-sided. The most important thing about M.2 is that it supports both the older AHCI protocol as well as NVMe. 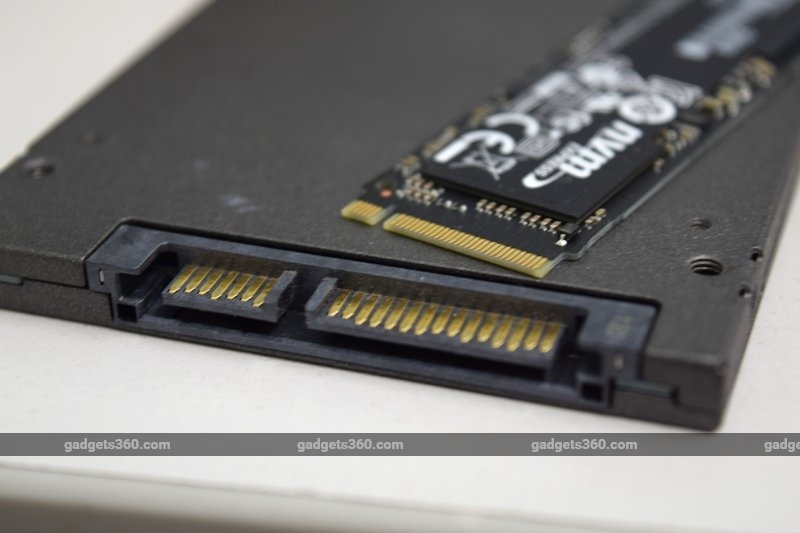 Not all M.2 SSDs use the advantages of the PCIe bus and NVMe protocol – some simply use the connector for convenience but function exactly like SATA SSDs. Both the modules and the slots will have notches, just like RAM sticks, which prevent you from plugging one type into a slot that can only host the other type. Not all M.2 slots have the same bandwidth either. They appeared on last-generation motherboards with the Z97 controller, but were at that time limited to two PCIe 2.0 lanes. Newer X99 and Z170 motherboards are able to supply four PCIe 2.0 or 3.0 lanes for much more bandwidth (though the leap is already so great that the difference might not be appreciable to most people outside of benchmark results). Oh and finally, not all PCIe lanes go from the M.2 slot directly to the CPU – some motherboards feed the M.2 slots through slower lanes that pass through the platform controller. M.2 is most exciting because of how perfectly it is suited to small-form-factor systems. All your storage can be mounted directly to the motherboard, eliminating cables and drives. It’s also modular, which means you still have all the flexibility you need. 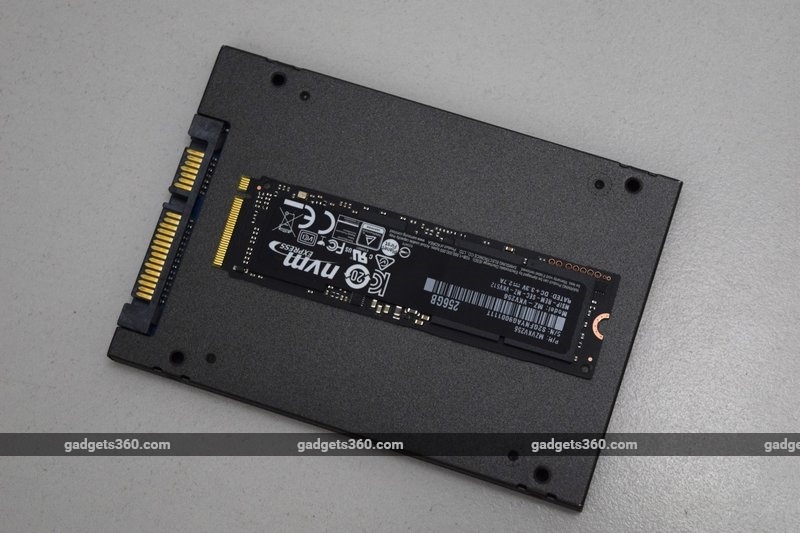 As of now, M.2 SSDs are a bit more expensive than 2.5-inch ones – especially those designed for high performance. Samsung has been the leader in SSDs for quite some time now. Despite a few hiccups along the way, its Pro products are widely considered to be amongst the best available, and their Evo counterparts offer some of the best value around. That comes in no small part from Samsung’s pioneering work in flash storage chips, which it designs and fabricates itself. Samsung is heavily invested in 3D memory, in which multiple layers of cells are stacked one on top of each other. This results in a massive increase in density and performance. Samsung calls it Vertical NAND, or V-NAND, and will use this term heavily in its advertising, as a proprietary advantage. 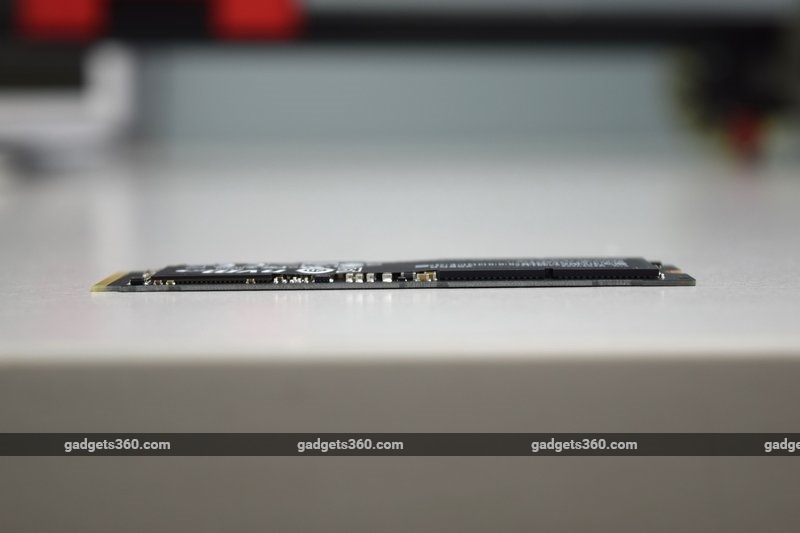 The SSD 950 Pro uses last year’s 2nd-generation V-NAND, which packs 32 layers of memory cells one on top of the other on a single die. The company has already announced its 3rd-generation chips, which use 48 layers. We can expect to see 4TB consumer 2.5-inch SSDs when those chips are ready for the mass market. This is MLC NAND, which means three bits are stored per cell. 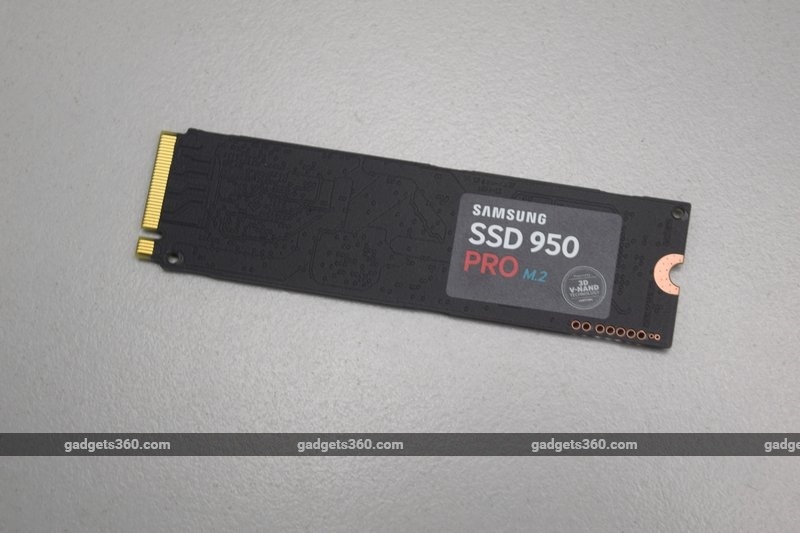 The SSD 950 Pro comes in two models: 256GB and 512GB. Samsung uses low-profile single-layered M.2 modules so 1TB will only be an option when the 3rd-generation NAND is ready to ship next year. There will not be a SATA version. The 256GB model is slightly slower than its 512GB counterpart: sequential reads are rated at 2,200MBps for the smaller one and 2,500MBps for the larger one, while sequential writes are rated at 900MBps and 1,500MBps respectively. There’s also a difference in the warranties; while both are covered for five years, the 256GB model is covered till the first 200TB of usage while the 512GB model is covered up to 400TB. The module itself is all black and looks great. Nothing other than the drive was inside our non-retail sample box; not even a slip of paper. It’s really thin, and we wouldn’t recommend trying to flex it. The top is covered by a sticker which obscures the actual chips, but the bottom has a beautiful circuit board pattern. The connector end looks just like a shrunken expansion card, with incredibly fine golden fingers. The opposite end has a small scoop for a screw to fit. Motherboards will have up to three screw posts to accommodate modules of different lengths. It’s really easy to plug M.2 cards into any motherboard, but you have to be careful not to lose the tiny screw that comes preattached. Some boards place the M.2 slots between PCIe slots, so they’re covered by double-width graphics cards. In such cases, you’ll have to remove the graphics card to get to the slot. 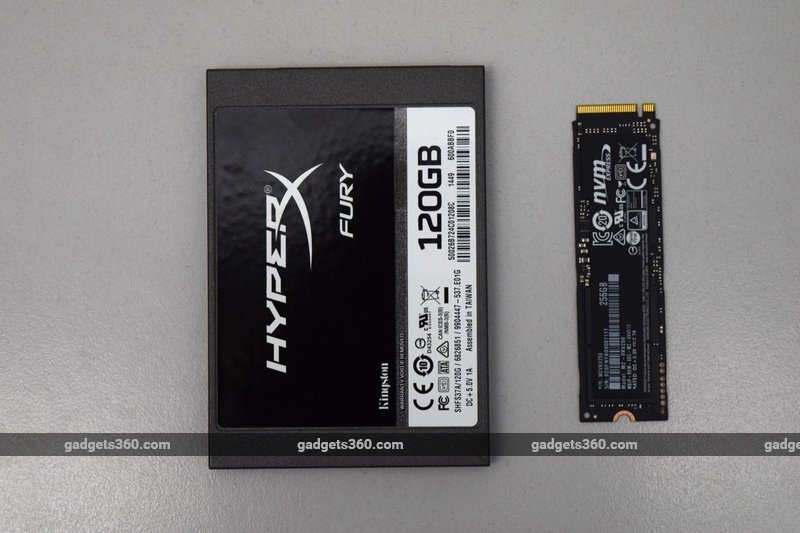 We compared the drive to a standard SATA SSD, the 120GB Kingston HyperX Fury, with all other hardware remaining the same. Fresh installs of Windows 8.1 were used, and all drivers were the latest available on each manufacturer’s website. The Skylake platform was chosen specifically so we could ensure that the SSD 950 Pro was not bottlenecked by any other hardware. We first ran through SiSoft SANDRA. The physical disk drive score was 495.2MBps for the SATA drive and 2.45GBps for the SSD 950 Pro. That’s a phenomenal difference – roughly a 5X improvement right out of the gate. Sequential read speed was measured at 456.76MBps and 2.15GBps for the two drives respectively, while sequential write speed was 91.13MBps and 899.85MBps respectively. You can see that the SSD 950 Pro came pretty close to its rated speeds in both cases. CrystalDiskMark backed up these scores with practically identical numbers. Random read and write performance numbers were also quite enlightening. CrystalDiskMark measured differences between the two drives when testing with 4Kb blocks and a queue depth of 1. The SATA drive managed 17.91MBps and 73.11MBps reads and writes respectively, while the NVMe 950 Pro managed 45.88MBps and 209.7MBps. Performance was much higher with a queue depth of 32, but more telling was that the gap between the two increased dramatically: we got 53.83MBps read and 90.55MBps write on the SATA drive but a whopping 886.6Mbps and 333.3Mbps respectively on the SSD 950 Pro. Clearly, there’s a world of difference between the two. SSDs already represent a huge leap over mechanical hard drives, and now we can take performance to a whole new level. 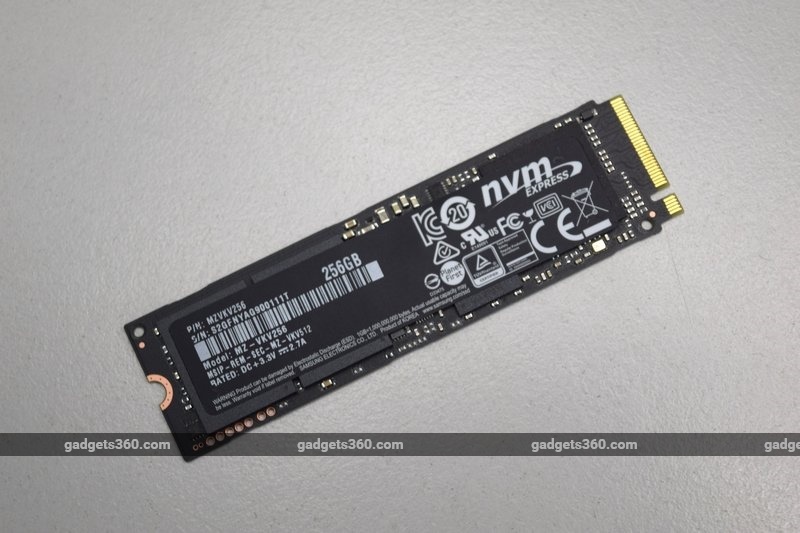 If you’re a PC performance or gaming enthusiast who needs to live on the cutting edge, an NVMe model such as the Samsung SSD 950 Pro is what you need to get. The only reason we aren’t telling everybody to run out and buy one right now is that you’ll need a modern Intel X99 or Z170 platform to harness all this speed, which means tossing most of your existing PC out and starting from scratch with bunch of very expensive parts. This is the kind of simple upgrade that can double or triple your performance in some tasks. We hope that M.2 becomes a fixture on motherboards across price points, but for now it’s clearly relevant only to performance enthusiasts. 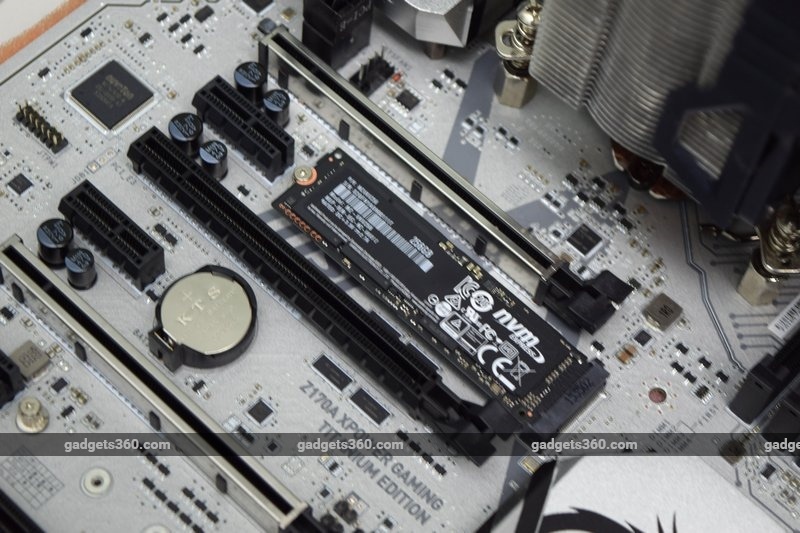 Most people will be happy with the performance of a SATA 850 Pro drive or even an 850 Evo. That brings us to the cost. The 256GB model sells at Rs. 20,199 and the 512GB model at Rs. 30,899 in the market. Mainstream models of either capacity can be had for less than half those amounts. 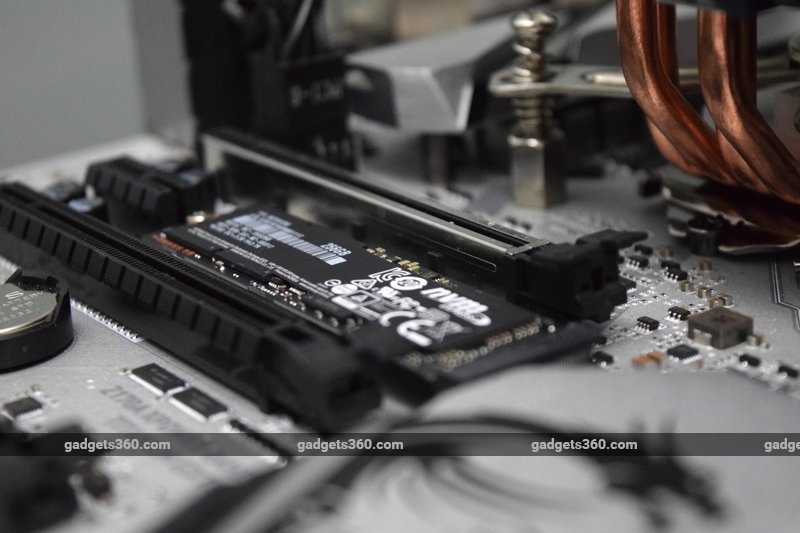 The SSD 950 Pro is an unapologetic indulgence; completely unnecessary for the average user but exactly what you should insist on if you’re spending 2-3 lakhs on a cost-is-no-object fantasy PC build.